The wide choice of holes and thicknesses satisfies whatever planning need. A rich selection of chromatic effects and different grades of transparency is provided. Solidity and safety are guaranteed at the same time, especially for children. 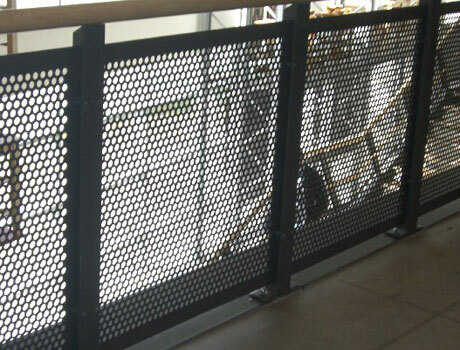 The structural versatility and sturdiness of perforated metal sheets adapt to any planning requirement. They answer the need for protection and safety, combining them with elegant creative design.